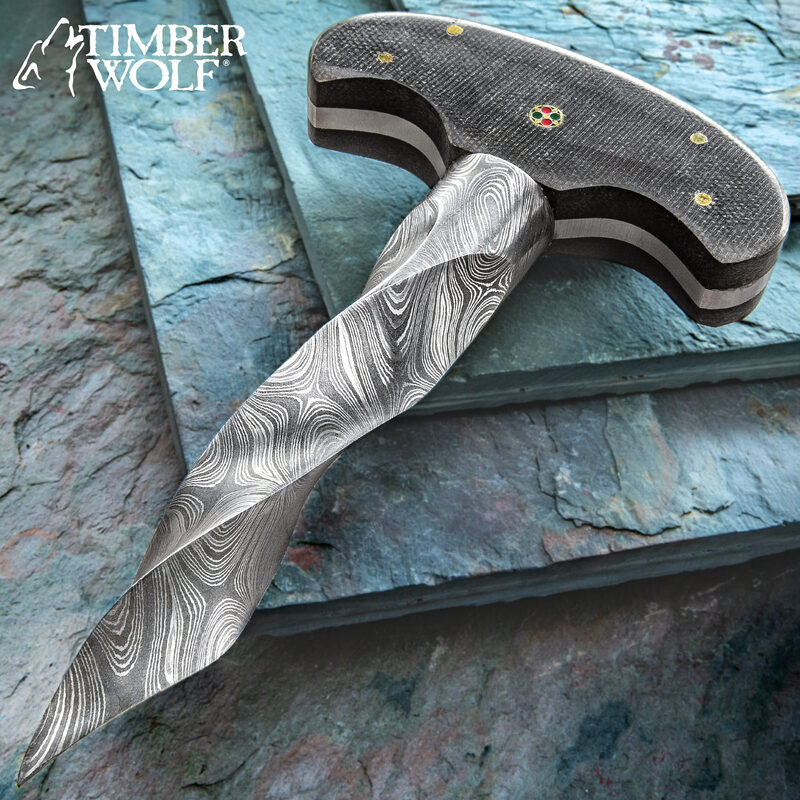 The Timber Wolf Damascus Twist Push Dagger is a major player when it comes to effective self-defense in a life or death situation! The Timber Wolf Damascus Twist Push Dagger is a major player when it comes to effective self-defense in a life or death situation! The push dagger has a full-tang, 5” Damascus steel blade that is a massive 1” thick and twists down to a sharp penetrating point. The thick handle scales of black Micarta are secured to the tang with brass pins and accented with a colorful rosette. The hulky push dagger is 6 1/4” in overall length and gives you heavy-hitting self-defense striking power in your hand.